From Scarlett O'Hara to Thelma and Louise to Wonder Woman, a wide range of strong female leads have not only lit up the screen -- they've fired our inspiration with their courage, their independence, and their refusal to follow the rules. Some dynamic women are naughty and some are nice, but all of them buck the narrow confines of their expected gender role -- whether by taking small steps or revolutionary strides. 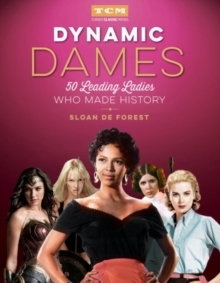 Through engaging profiles and dozens of photographs, Dynamic Dames looks at fifty of the most empowered and inspiring female roles in film from the 1920s to today. The characters are discussed along with the exciting off-screen personalities and achievements of the actresses and, on occasion, female writers and directors, who brought them to vibrant life. 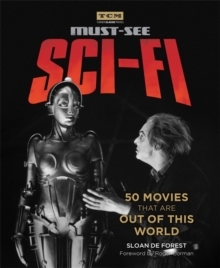 Among the stars profiled in their most revolutionary roles are Bette Davis, Mae West, Barbara Stanwyck, Josephine Baker, Greta Garbo, Audrey Hepburn, Natalie Wood, Barbra Streisand, Julia Roberts, Meryl Streep, Joan Crawford, Vivien Leigh, Elizabeth Taylor, Dorothy Dandridge, Katharine Hepburn, Pam Grier, Jane Fonda, Gal Gadot, Emma Watson, Zhang Ziyi, Uma Thurman, and Jennifer Lawrence.